On the 28th (Wed), explore the wealth of natural beauty at Pyha-Luosto National Park. To find other places to visit, photos, maps, and other tourist information, read our Pyhatunturi trip planner . Newark, USA to Pyhatunturi is an approximately 18-hour flight. Traveling from Newark to Pyhatunturi, you'll lose 7 hours due to the time zone difference. Traveling from Newark in August, expect Pyhatunturi to be cooler, temps between 64°F and 47°F. 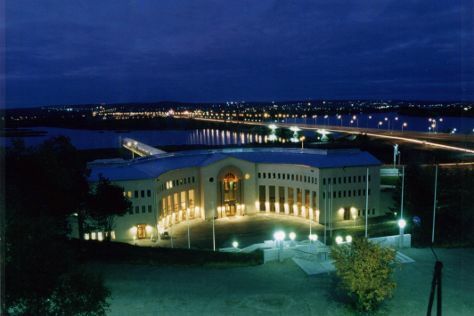 Wrap up your sightseeing on the 28th (Wed) to allow time to travel to Rovaniemi. On the 29th (Thu), pause for some serene contemplation at Rovaniemi Church, explore the fascinating underground world of Syvasenvaara Fell, then see Santa Claus Office, and finally get in on the family fun at Santa Claus Village. On the next day, get in on the family fun at SantaPark - the Home Cavern of Santa Claus and then look for all kinds of wild species at Wildlife Areas. Traveling by car from Pyhatunturi to Rovaniemi takes 2 hours. In August, daytime highs in Rovaniemi are 63°F, while nighttime lows are 49°F. Wrap up your sightseeing by early afternoon on the 31st (Sat) to allow time for travel back home.